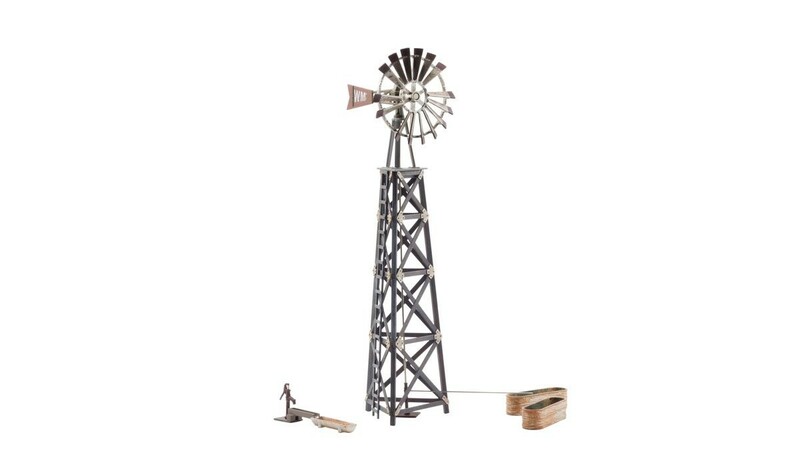 The Old Windmill was once vital to farm operations. Now it sets the scene in a forgotten rural area or abandoned farm. The blades of the metal turbine are rusted and broken, and the wooden tower is authentically weathered. Unattached details include two oblong stock tanks, a hand pump and a trough.